Home › News › Association News › And the Winner Is…. At prestigious awards programs such as the Oscars, Tony’s, and the Emmys, attendees and viewers await the announcement of the winners. The anticipation of the winners builds from the time the nominees are announced. Rarely during these discussions do people refer to the award submission process and the criteria. In reality, they are the backbone of the award. During the ALA Annual Conference, AASL presents a number of distinguished awards. One such award is the AASL National School Library of the Year (NSLY) Award. The backbone of this award is the AASL Standards. 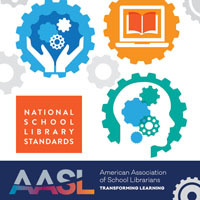 With the release of AASL’s National School Library Standards for Learners, School Librarians, and School Libraries, a task force was appointed and charged with aligning the application and guidelines to reflect these standards. Should the name change to reflect the standards? What are the keystones that every school library must have to qualify for this award? How do the Shared Foundations look in action? What evidence exemplify the standards? The first question the task force dealt with was changing the name. The members felt that terminology used in the name of the award, as well as the application and rubric, needed to align to the standards. The next topic addressed was the criteria that every school library must have to qualify for the award. Previously the word “foundation” was used to identify this criteria, but the task force felt that that term was no longer appropriate since it could be confused with the Shared Foundations. Keystone was selected because it represents the principal part and summit of the arch that holds everything together. A majority of the discussions focused on what each Shared Foundation looks like in all educational settings. Scenarios included not only the different levels of elementary, middle, and high school but also the type of public school: urban, suburban, rural. 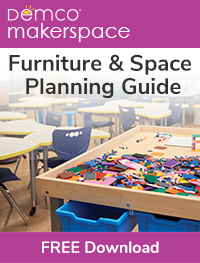 Also included were scenarios of school libraries in independent and charter schools. Involve stakeholders in the application process by requiring letters of endorsement from various stakeholder groups. At the ALA Annual Conference, the AASL Board of Directors approved the task force’s recommendations. 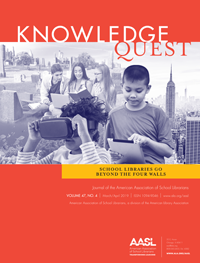 The updated application is available at http://www.ala.org/aasl/awards/nsly, along with the rubric that details the type of evidence required for each Shared Foundation. Certainly, there are many outstanding potential nominees for this award. So examine the application process and required evidence, then apply. Applications will open September 18; submissions are due by January 1, 2019. So that when the presenter says, “And the winner is…” your school library will be recognized as an outstanding example of what the standards looked like in action.